This was supposed to be some kind of ‘spooky’ bake, but they didn’t turn out half as spooky as I expected, well they didn’t turn out spooky at all, so here are the regular Raspberry Brownies. This recipe caused me a lot of stress; at one point I thought I burnt it, so I nearly threw everything away, but luckily I realised that I didn’t and it would look smoother once the eggs were added. In all honesty, I don’t think these brownies are as good as the ones I made before. These are a lot bigger, and there’s a lot more ingredients which makes them a lot richer and I don’t think I baked mine for long enough considering the inside is extremely gooey and I mean extremely gooey. The corners did burn, so maybe it’s supposed to be like that, but I’m not sure. I guess it’s all down to personal taste, and I’m sure a lot of people will like them. 1 . Heat the oven to 180C/160C fan/gas 4. Grease your baking tray that is ideally 20x30cm, I used butter, but the recipe says to use baking parchment, but butter works just fine too. 2 . Put the butter, chocolate and sugar into a pan and gently melt, being sure to stir it occasionally with a wooden spoon. Once melted remove from heat. 3 . Stir in the eggs one by one to the mixture, and then sieve the flour and cocoa powder in as well. Once mixed stir in half of the raspberries and add the mixture to the baking tray. 4 . The recipe says to bake for 30 minutes, but it took me about 35-40 minutes before taking it out, as it wasn’t ready after 30 minutes. 5. Cool before cutting and store in an air tight container and eat within three days. I didn’t create this recipe it is from the BBC Good Food website, if you’d like to check it out. I don’t think this is my best bake, but it does still taste good which is all that matters I guess. Looks like we both had brownies on the brain this week! Yours look a lot healthier than mine, that’s for sure! Great idea to add raspberries! I love a good bake and these look so tasty! Will definitely try the recipe and even wondering if some white chocolate would be nice in there! That looks so moist and yummy!! Thanks for the recipe. 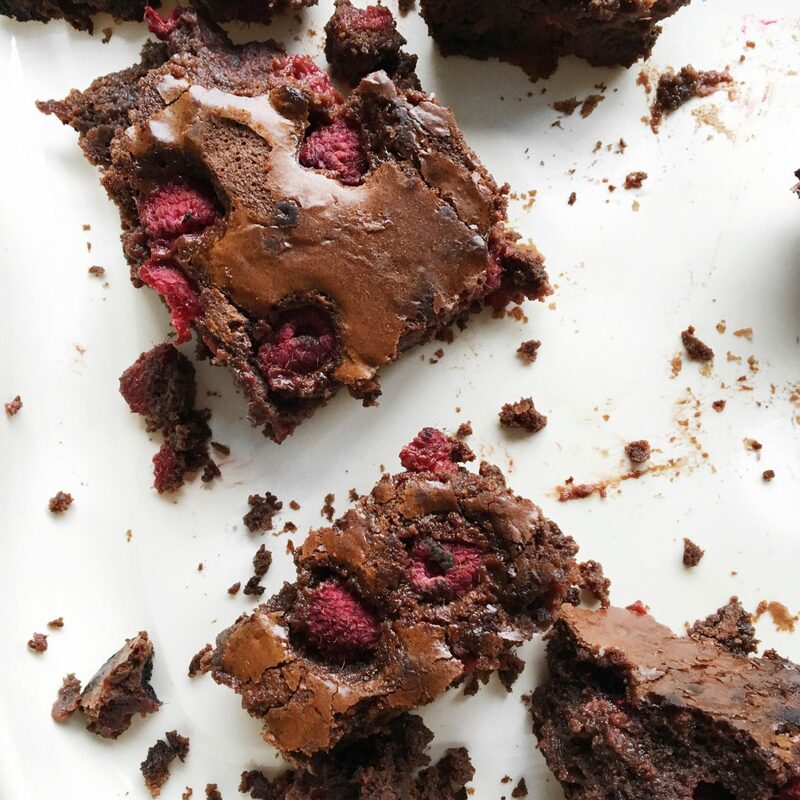 Raspberries are one of my absolute favourite ingredients to bake with, I can’t believe I haven’t tried them in brownies yet, I’ll definitely be giving this a go! Considering the trouble that you had with the baking, I don’t think they turned out badly at all! Mine would look so much worse – trust me.. haha! These looks so delicious! I’m not a big fan of raspberries but I’m thinking of the chocolate. These look SO GOOD!!!!! I love your baking posts and I can’t wait to try these. GOOD GRACIOUS THIS LOOKS GLORIOUS. yum yum yummmm i know what i’m making this weekend! 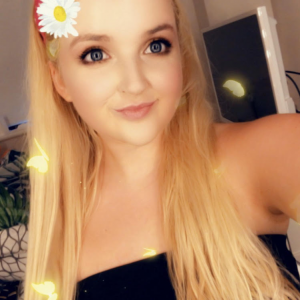 please if you get the time, check out my blog and let me know what you think! I LOVE raspberries and chocolate, so this looks like a winning combo to me! And now I’m seriously craving brownies haha. YUM! Ohmygosh I love raspberries I haveeee to try this!! They look delicious, I’m definitely going to have to try baking them myself! This looks amazing! I must give these a try myself! Thanks for sharing hun! Ooo I’ve never seen fruits in brownies before but these look so yummy! Thanks for sharing this recipe! You tried and they still look good to the eyes.. They looks so yummy 🙂 Wonderful post dear! 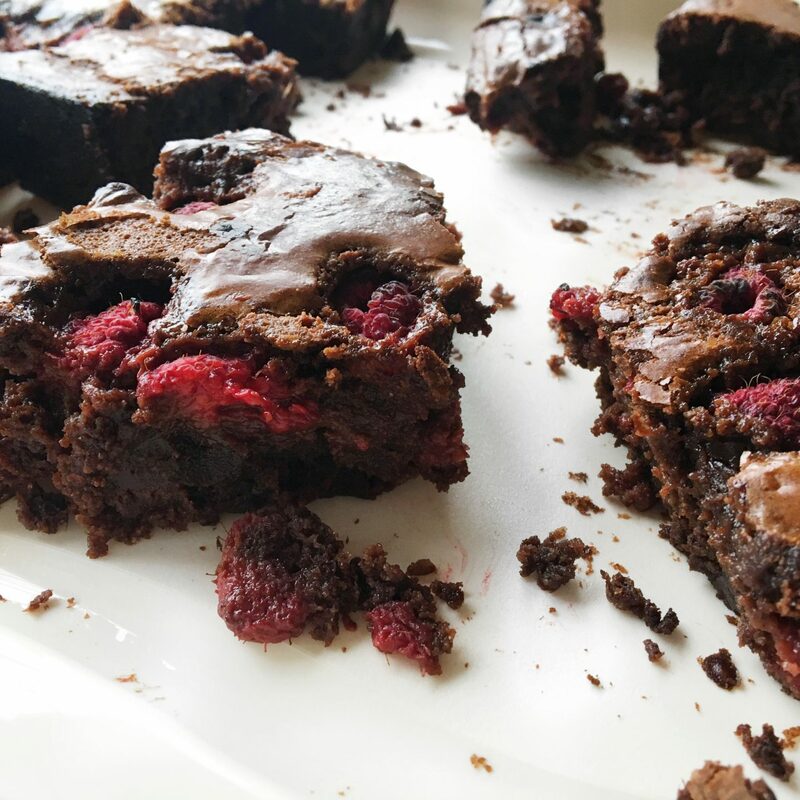 I’ve never had raspberries in brownies. Sounds interesting and lovely even though you didn’t’ think it was your best. 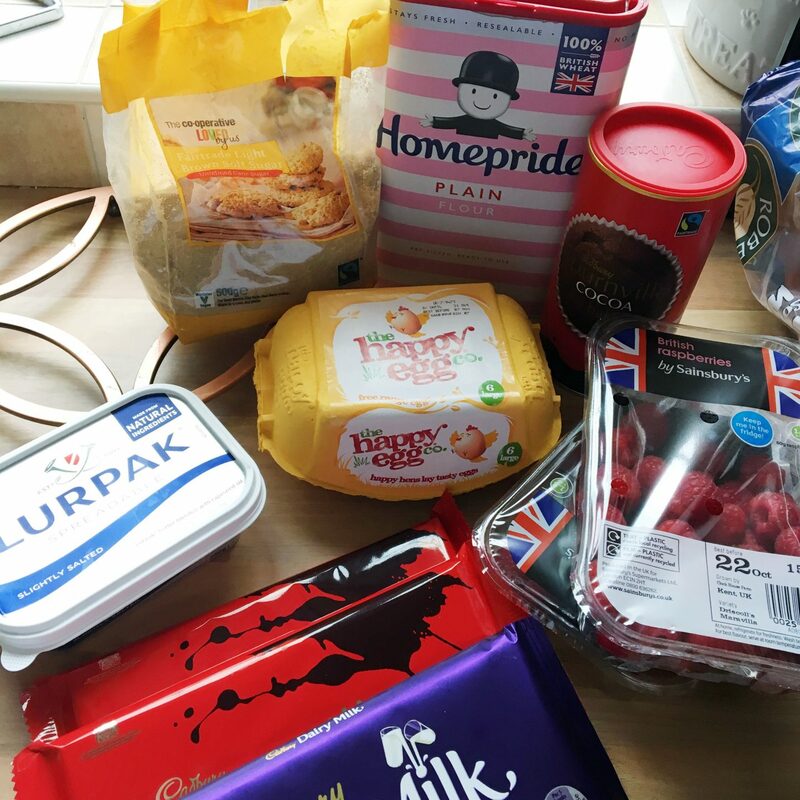 I love to bake so I may give it a try. So moist and so yummy!! Thanks for sharing. 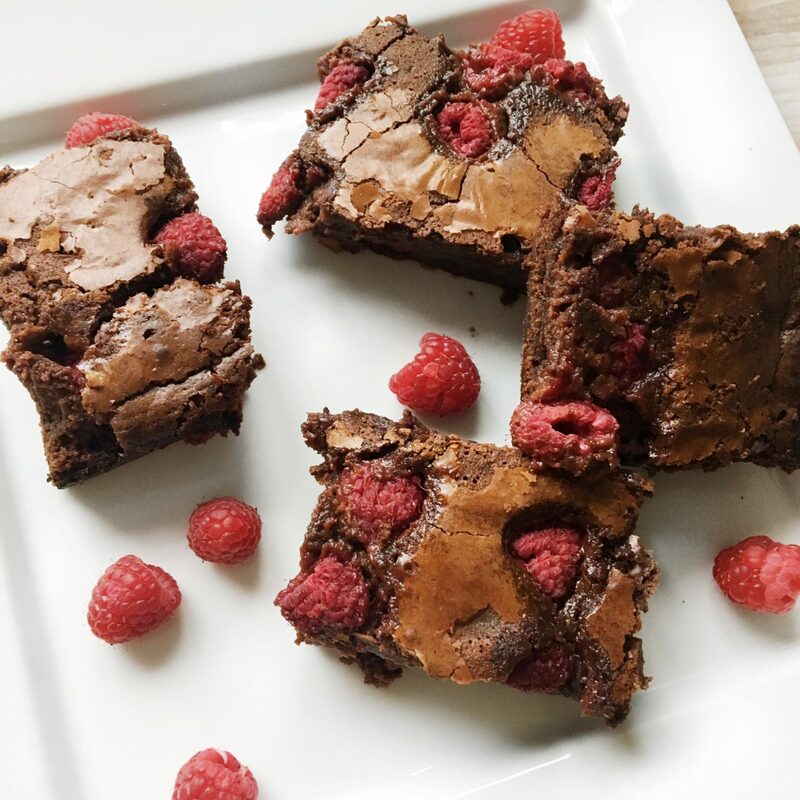 Wow, I love raspberry brownies. It looks tasty and scrumptious. I am definitely trying this one. These brownies look absolutely delicious! I’ve added this post to my reading list so I can make at a later date! My mouth is watering just reading this post, thanks for sharing! Ahh your brownies look so good! I like the idea of adding berries, great for breakfast or a quick snack. Love! Yum, I’ll have to make these vegan! 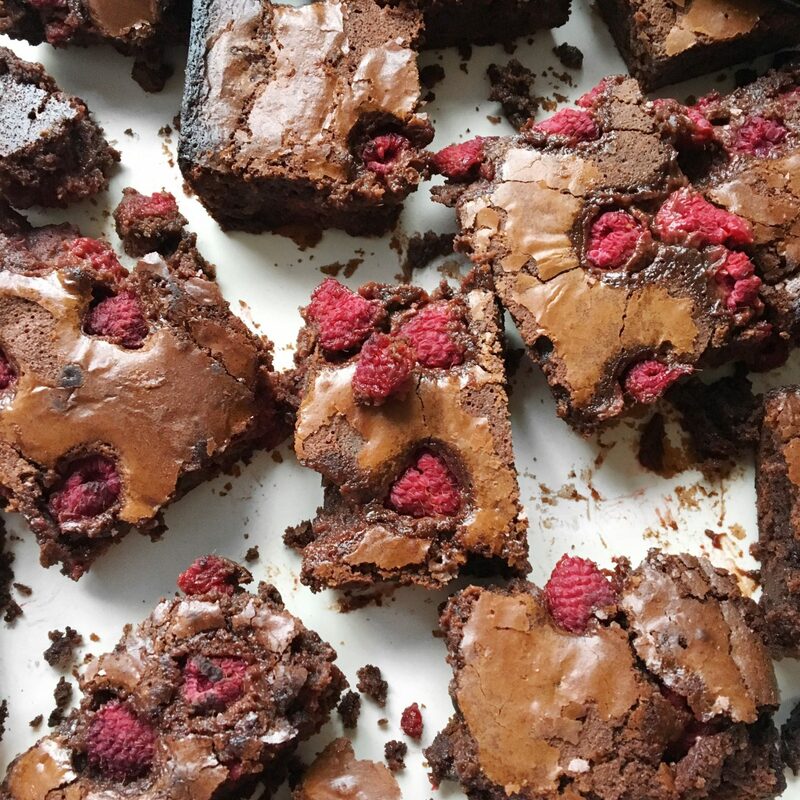 I have never thought of mixing raspberries and brownies, but these look delicious, will definitely give these a try next time I bake brownies! omg Hannah these look AMAZING, I need to bake these asap!!! They may not have been spooky but they do look delicious, not the hugest Brownie fan normally, but could be converted with Raspberries, I’ll have to give it a go! Those look super yummy will definitely try and make a plant-based version of these!